Click Here to view ALL Parker Flats condos currently available for purchase. Then contact Clint or Gay for an expert, professional tour. General Information: Parker Flats is one of the most interesting urban residential buildings in Cincinnati. It is comprised of 57 loft style residences - each has 2 bedrooms and 2 baths. This is a true Industrial Design; exposed beams, glass walls and concrete floors. One of the more interesting features are the retractable window walls. You have to see it to believe it. If you would like to have a private tour of any available residence, please give us a call. We have been very happy to promote this exciting downtown space. 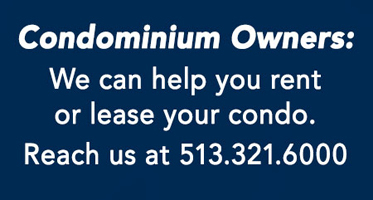 If you are considering selling your unit, please consider having us represent you. 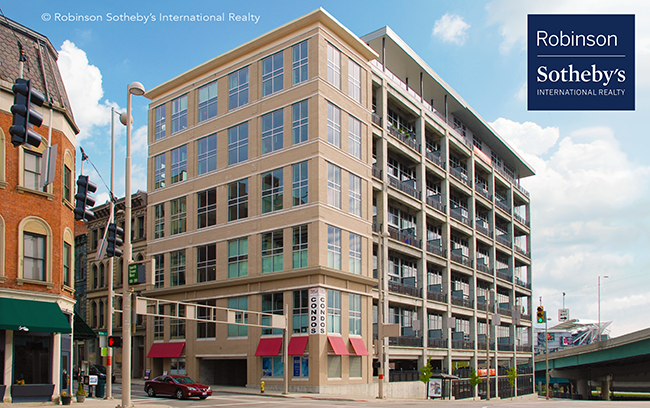 We are the only true international realty company in Cincinnati. As part of the Sotheby's Int'l Realty network, we share referrals with 22,500 agents in over 950 in 70 countries. Residents of Parker Flats Condos have perhaps the best sunset views in the City! You're so close to Paul Brown stadium - some residents joke they can almost hear the shoulder pads smacking during home games! If you are interested in buying, selling, or leasing in Parker Flats, reach out to Clint or Gay.